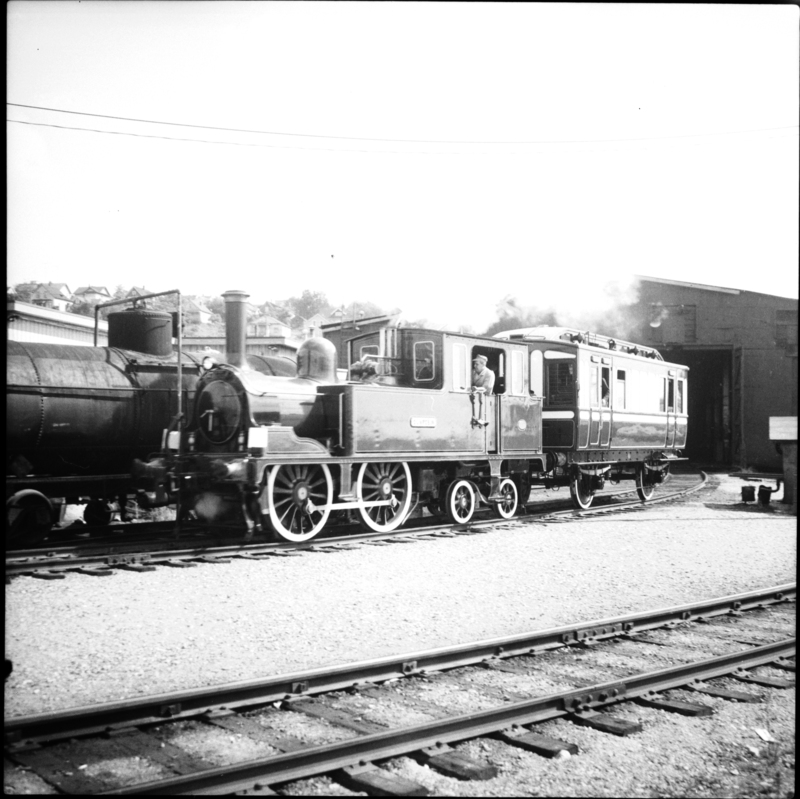 Photograph depicts a British locomotive, the "Dunrobin," as well as a saloon coach found at a BCER locomotive shed. It was emerging for a second trial run to Steveston. It just underwent a complete overhaul in 1966 after being being purchased by the provincial government of British Columbia.